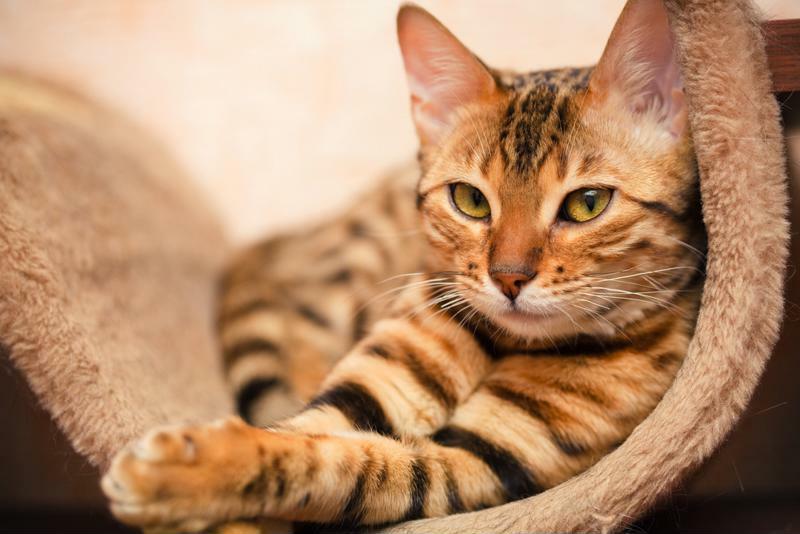 Are Himalayan Salt Lamps Safe for Cats? Himalayan Salt Lamps can do a lot of good for your home. Not only do they provide a comforting glow throughout your residence, but it is also said that they have health benefits, including reduced anxiety, better sleep quality, and less susceptibility to allergies. Depending on the number of Himalayan Salt Lamps you keep in your home, you could be vastly improving your air quality. But what if you're a cat owner? We've all heard the saying, "Curiosity killed the cat," and anyone who owns one of these furry felines understands how inquisitive they can be. Cats like to explore and understand your home completely. And, unlike (most) dogs, cats can jump up onto your counters and tables with relative ease, vastly increasing the likelihood they will encounter your Himalayan Salt Lamp. So what if they do? There are two possible problems with cats and Himalayan Salt Lamps. The first is the damage factor. Despite their reputation, not every cat is graceful. As a cat owner, you may have already seen this moment: your cat jumping up onto a table, very confident in its abilities - only to land on a magazine and slide back off, crashing to the floor. You can rest easy knowing your Himalayan Salt Lamp likely won't affect your feline friend negatively. Since Himalayan Salt Lamps are typically kept on tables or shelves, a fall could be disastrous damaging to your prized possession. Salt crystals, while hard to the touch, are fairly brittle and easy to chip off. Even if your cat only knocks the lamp off from a height of a few feet, it may be enough to crack or damage your product. But let's say your cat doesn't knock down your Himalayan Salt Lamp, is there a danger if he/she licks it? The basic answer is: not really. Salt is not innately toxic to cats. Despite this, there is bad information out there leading people to believe that if your cat simply gives some licks to your salt lamp, they will be in grave danger. This is simply not true. "The point is this: Himalayan Salt Lamps and pets actually complement each other." Any food in excess is bad for anyone. The same is true for salt and cats. Sure, if your cat licks your lamp excessively and does not drink any water, it could cause an issue, just like if we eat an excessive amount of salt and do not rehydrate, then we could get sick. However, any normally functioning animal, human or cat, would simply go and drink some water if they indulged in too much salt. In fact, for certain animals (most typically farm animals), "salt licks" are actually sold to promote salt intake. Now, we don't recommend salt licks for cats, but having a salt lamp in your home does not present an inherent danger to your cat. After all look at how this little one feels about her salt lamp. The point is this: Himalayan Salt Lamps and pets actually complement each other. Many people with pets enjoy the benefits of their salt lamp, all while playing with their little friends in its enchanting glow.